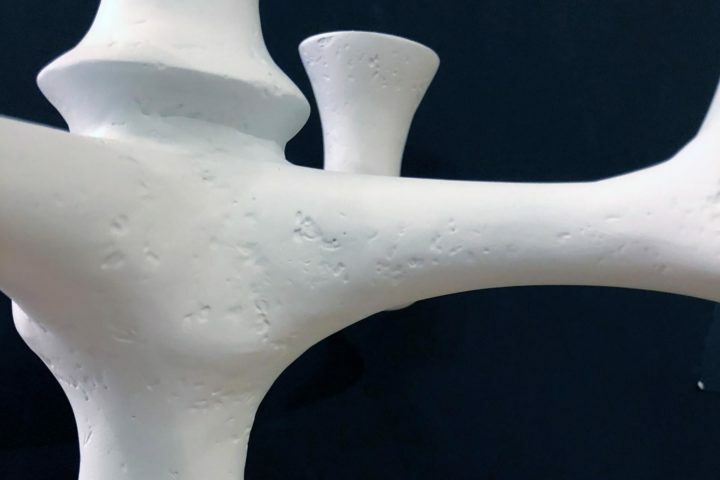 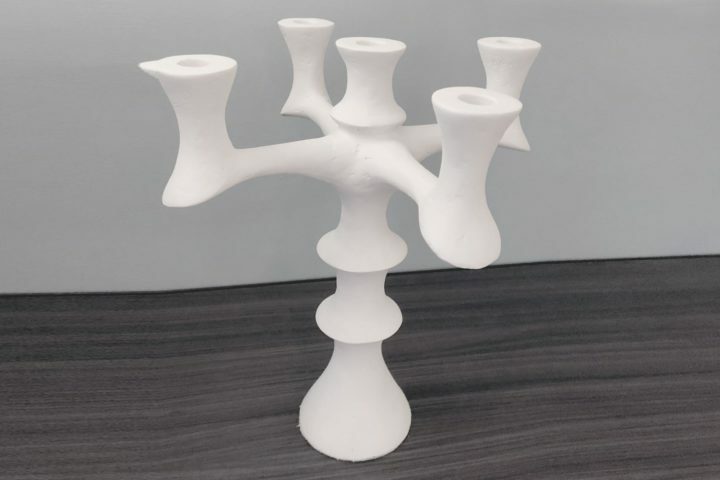 Sculpted plaster of Paris candle-holder. 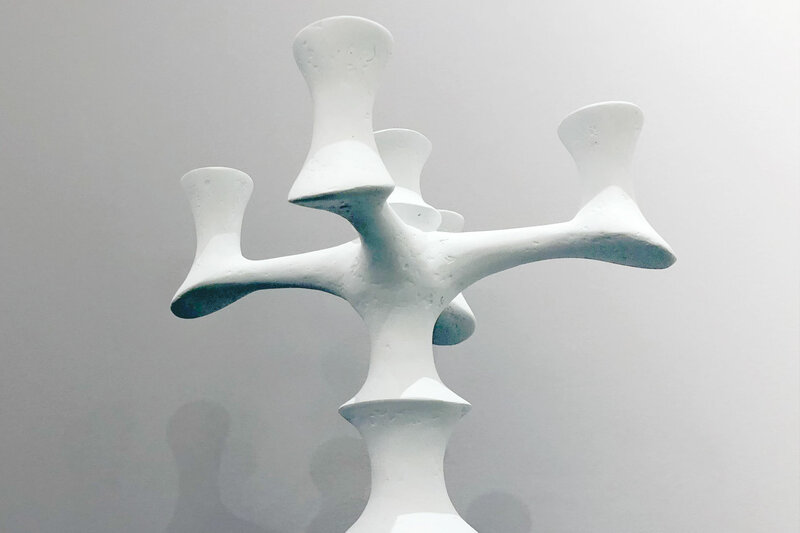 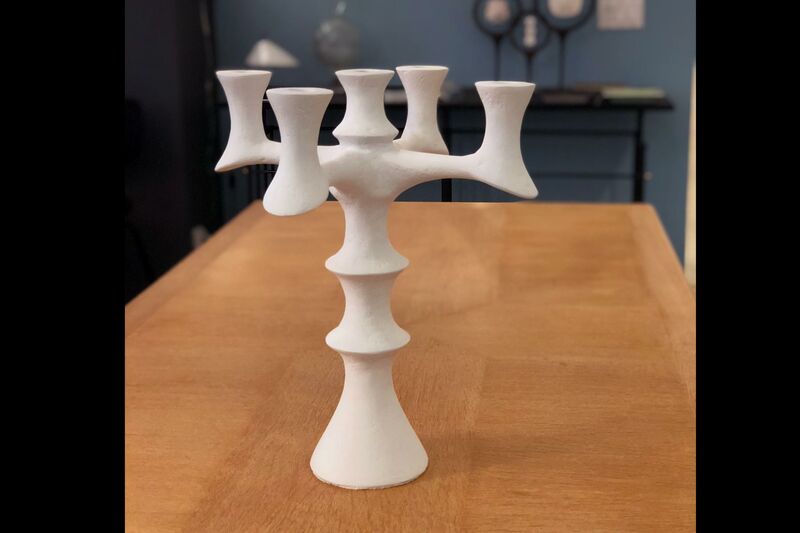 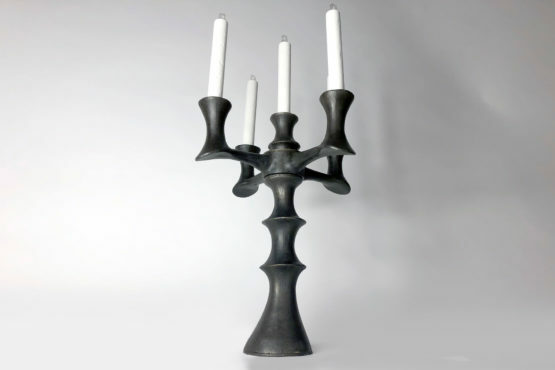 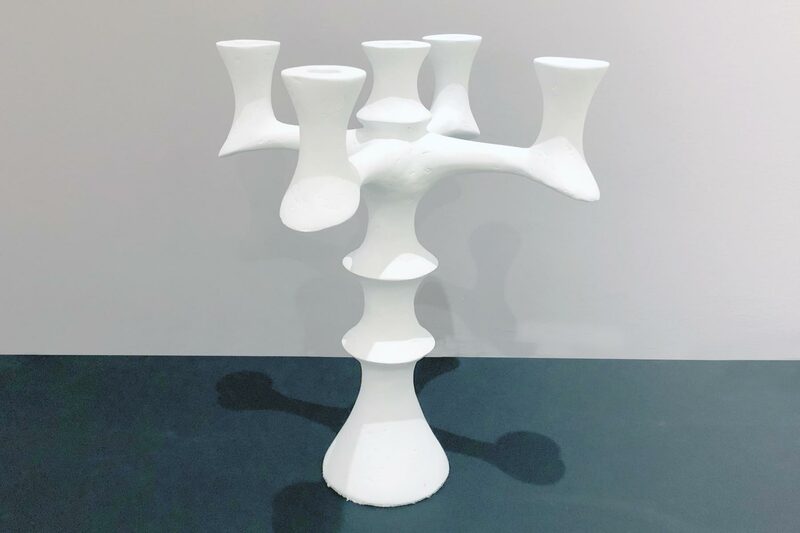 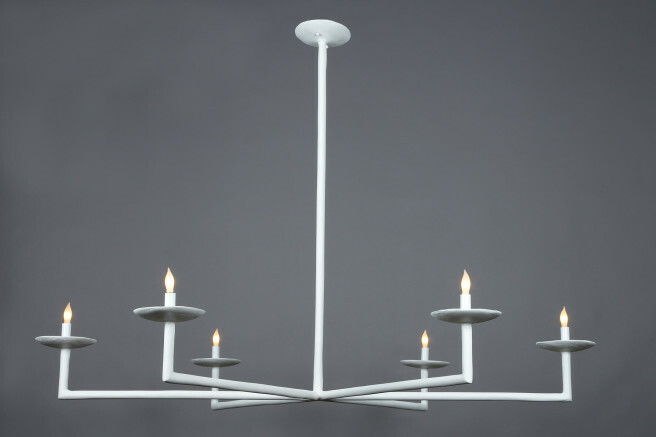 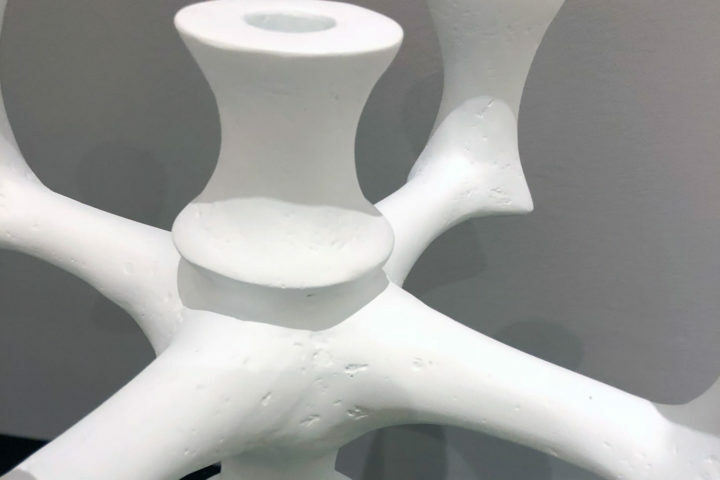 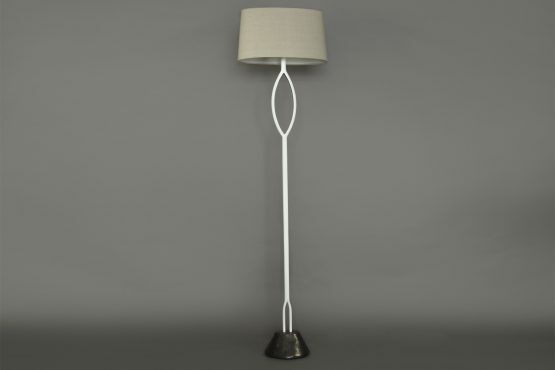 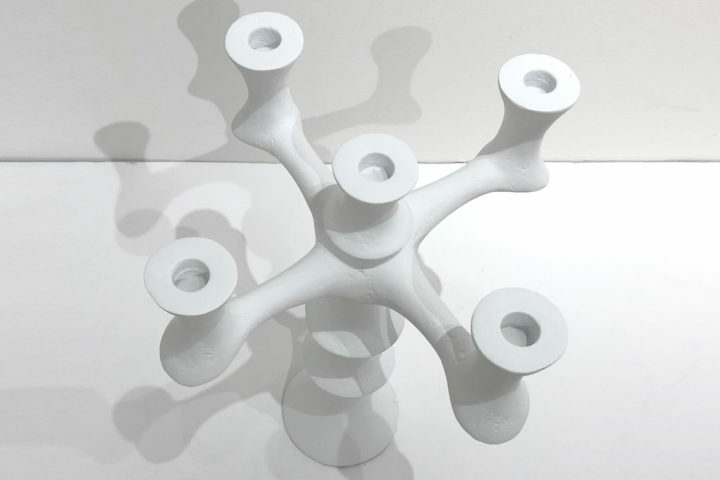 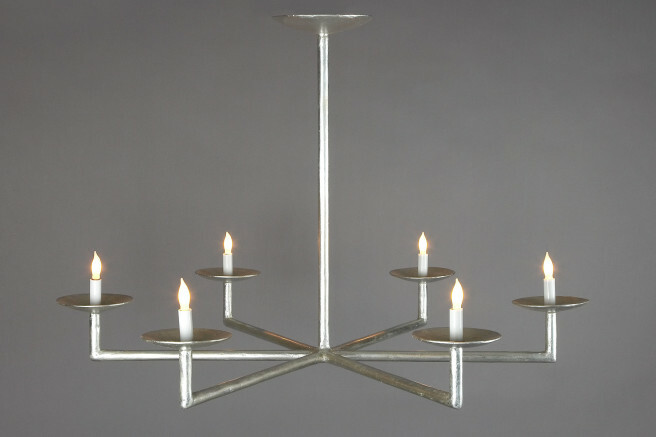 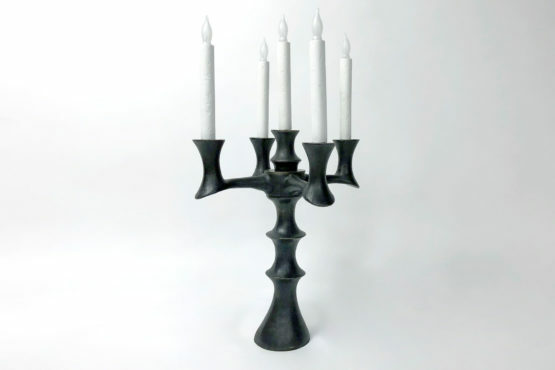 A reminiscent of Giacometti’s work, this five candle-holder has a sleek yet elegant design. 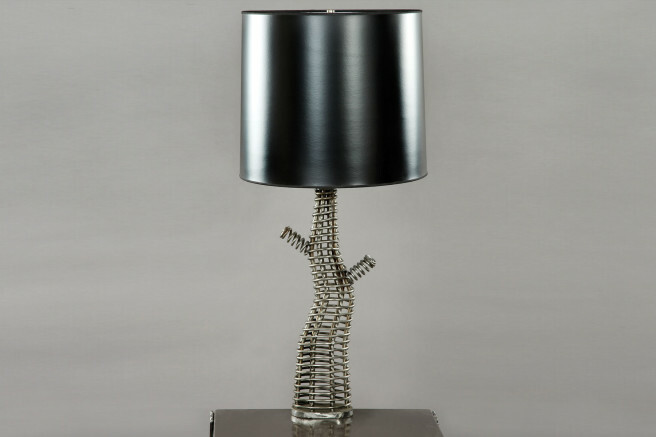 With its soft edges and texture it makes for an outstanding center piece for any console or table. 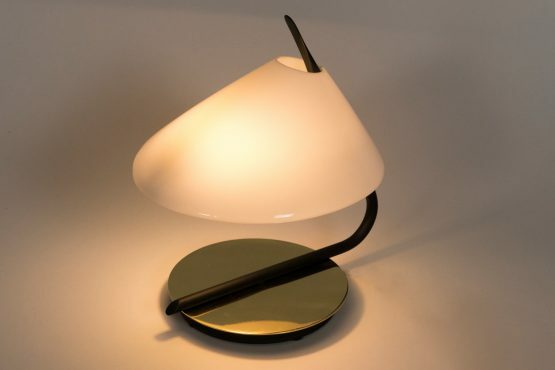 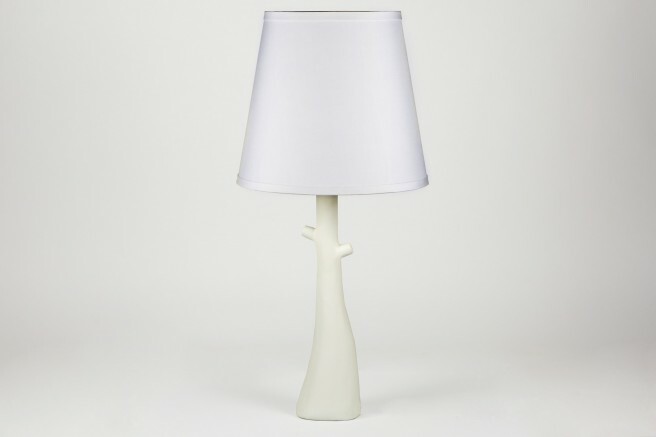 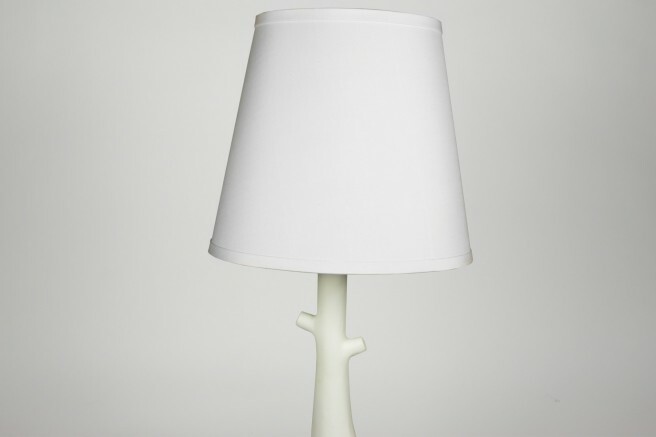 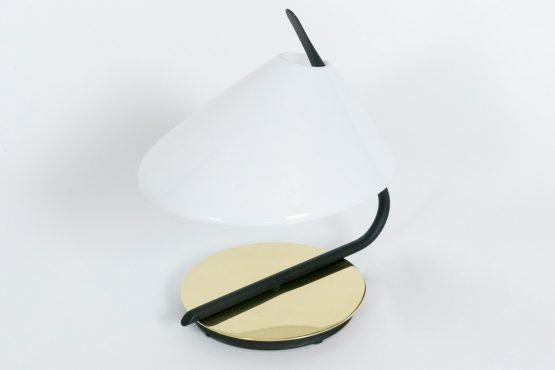 This small scale lamp enhances shelves, small side tables, or it fits about anywhere. 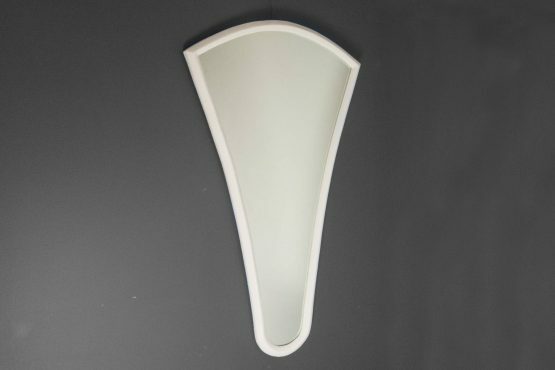 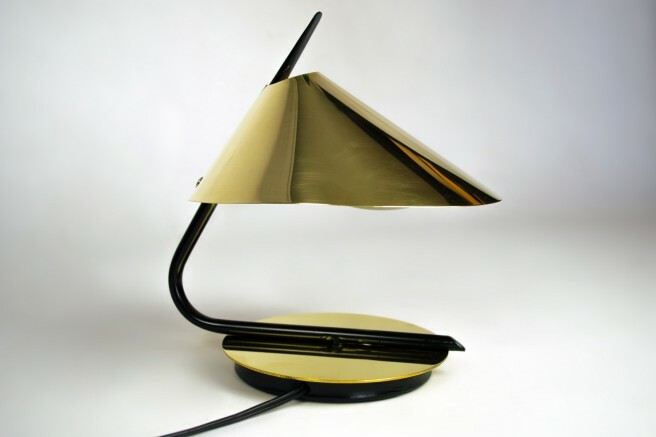 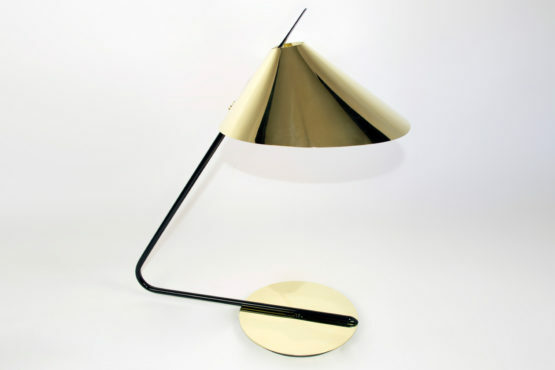 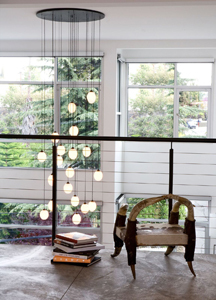 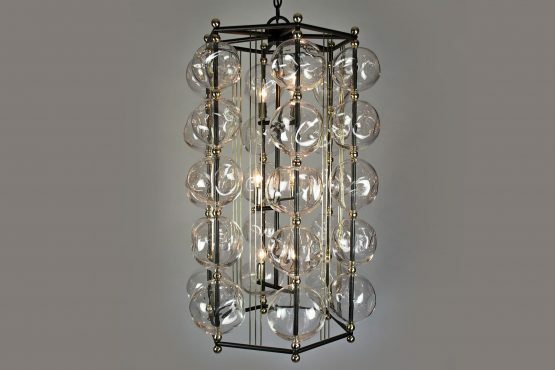 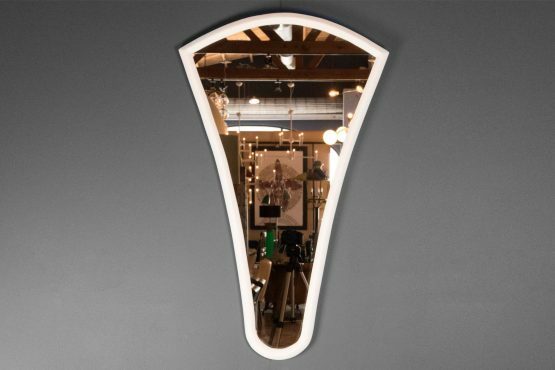 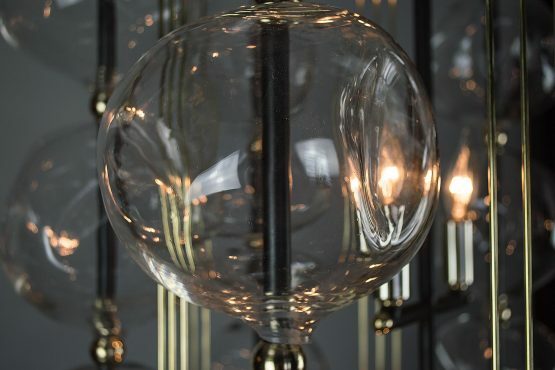 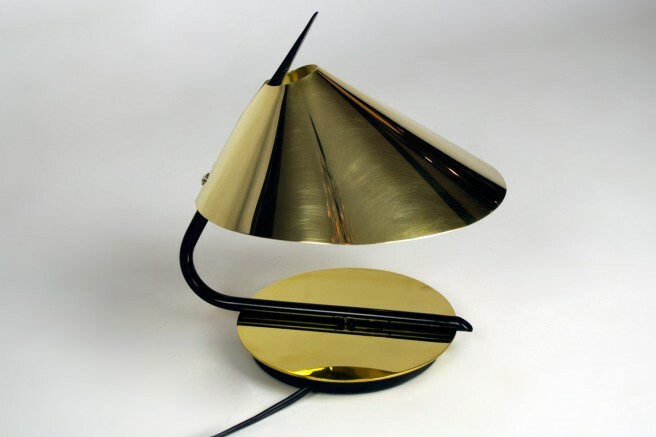 The soft light which is diffused by the acrylic shade is accented by the reflection from the brass base. 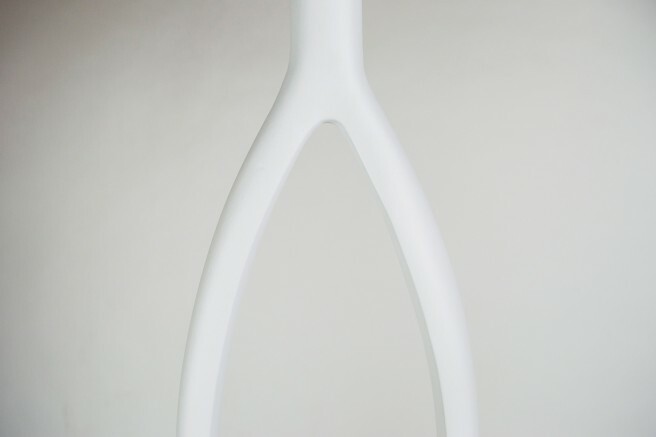 Dimensions: H. 9" x D.7 1/2"